It's early June that will release the Nokia 900 Lumia. The Finnish firm to take this ad to attach the output of 808 PureView, the famous smartphone equipped with a camera of 41 megapixels. We originally thought it was just a technological showcase for Nokia PureView and it would not see the day in our latitudes. Finally, the manufacturer chose to put on the market. His award for Best Mobile at MWC 2012 received is perhaps something. It will be available in June and costs € 599 without subscription. 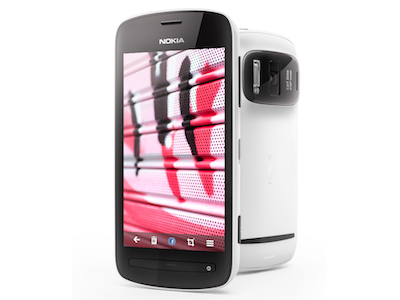 Recall that it uses the smartphone operating system Nokia Belle, the latest version of Symbian. Its 41 megapixel sensor seems disproportionate. It can actually take pictures very detailed, useful just to extract a specific area. The successor to the Lumia 800 will also be available in June. The Lumia 900 will be bigger and more expensive. Announced at € 599, it is more expensive compared to € 100 800 Lumia. Also under Windows Phone 7.5, it has 512 MB ​​of RAM, a Qualcomm processor clocked at 1.4 GHz and a 4.3 inch AMOLED screen. The only downside is its definition of 800 x 480 pixels. For € 599, one would have expected the 1280 x 720 pixels, as is the current standard for high-end smartphones.